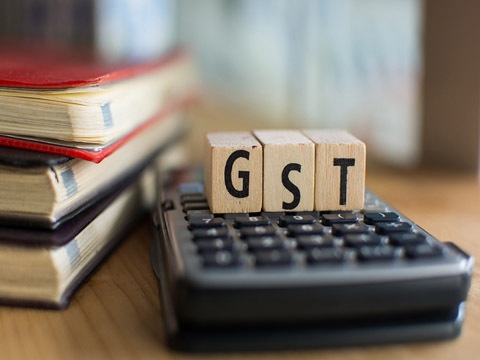 As per the GST rules, the business with a turnover greater than INR 20 Lakh, is liable to register for the new tax regime. In some states, the registration criteria is INR 10 Lakh or above. Here are the simple guidelines that will help you to register for GST on the government portal. Here is the step by step guide for the application. Visit https://reg.gst.gov.in/registration/. This is the online portal for the application of GST registration. This page will cater a set of tabs where the specific information needs to be filled by the applicant. In this page, you will have to enter your PAN, mobile number, and a valid email ID. After completing the entry, click ‘Proceed’. The website server will send two different ‘one time passwords (OTP)’, one to your email ID and the other to your mobile number for the verification process. The OTPs are valid for 10 minutes. These temporary passwords can be generated again. The temporary reference number (TRN) for this action will be generated. This number should be noted down as it will be used for further processing. Use the generated TRN in the ‘New Registration Option’ particularly in the section of TRN tab. A captcha text will be generated for confirming that you are a human user. After filling the TRN and captcha section, another OTP will be generated. This time, a new OTP will be sent to your registered email ID and mobile number. The next step will process your application in ‘My Saved Application’ page. It is the detailed application page where every tab should be filled. You can take a maximum time of 15 days to fill this detailed form. After the designated time, the entire information from the page will be erased and you have to continue from the beginning. Click the button named ‘Edit’ and proceed forward to the next step. This is a form with 10 tabs or sections that need to be filled. Clicking on each tab will reveal the type of information the server needs for the application part II. In this case, you will have to prepare the scanned copies of the documents mentioned below. The recent photo of the director, partner, promoter, owner, or karta of the Hindu undivided family (HUF), any one applicable. Scan copy of the first or front page of the passbook of the registered bank account for the bank account number, bank branch address, account holder’s address, and the detailed information of latest transactions. Use all these scanned copies are demanded by the application page. The website will guide you through a proper description of the steps. The third step to register for GST is your digital signature. The DSC is mandatory for LLPs and companies. To get a DSC, seek assistance from the certifying authorities listed in http://www.cca.gov.in/cca/. Once the software is received, you can proceed to sign the GST form. There are 3 different verification methods. Choose any one of them as per your convenience. Once the entire application is done and submitted, you will receive the Application Reference Number (ARN) in your email ID and mobile. Use this number to track your application status. If the status shows ‘Approved’ then you will receive your own GST Identification Number (GSTIN) along with a password to log in. You can reset the temporary password and username as per your convenience. This is how the registration for GST is done. If you feel intimidated by the process, there are many 3rd party services available to assist you in exchange for a service charge.